Hilda Dokubo is a popular Nigerian film actress and youth advocate who once served as special adviser on youth affairs to Peter Odili, a former governor of Rivers State. Hilda Dokubo was born as the first of six children in Buguma, a town in Asari-Toru, Rivers State where she went on to complete her primary and secondary school education at St Mary State School Aggrey Road and Government Girls Secondary School respectively. She is an alumna of the University of Port Harcourt where she earned her Bachelor and Master’s degrees in Theatre Arts. 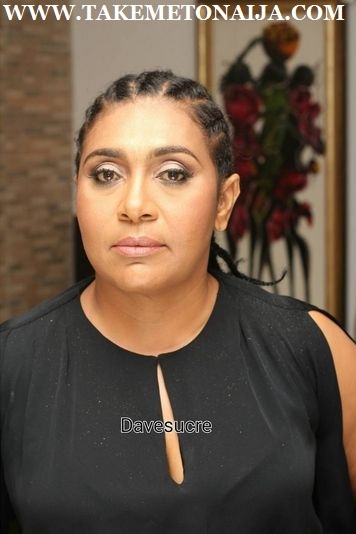 Popular actress, Hilda Dokubo hasn’t been in the public glare for a while now. Even before she served as a Special Adviser on Youth Affairs to former Rivers State Governor, Peter Odili, she had rarely been seen in movies. But that does not diminish her status as a widely-loved Nollywood actress. She has featured in several block-buster movies over the years that have won her millions of fans. Of particular fascination is the emotional way she plays her role. She cries easily on camera, and she can be said to be a method-actor, as her portrayal is graphic and distinct. validly elected governor of the oil-rich state? home and enjoying what she was doing. Well, has Hilda kissed the screen bye for good? investigated some crimes. It was fantastic working with Kunle Afolayan. Are you working on a film of your own? is a story of the strength of the young, and the experience of the old. Why did you take a break from Nollywood? small break which was worthwhile. monotonous. I was never in politics, I just held a political office. Can you relate a bit of your experience as a special adviser? it gave me a platform to contribute to the development of young people. Do you intend going back to politics anytime soon? yes. I’m not sure I like what I see now. Some seemingly Little things that wouldn’t matter to some people matters a lot to a good mother. Here is Veteran Nollywood Actress, Hilda Dokubo super excited as her son graduates High school. She gushed about his height in her caption which reads.